Yang and Cheng Dong, department head and distinguished professor of biomedical engineering, wanted a more active method of locating drugs to the cancer wherever it was located, whether circulating in the blood, or in the brain or in any of the other organs of the body. Immune cells, which were built to more respond to inflammatory signals, will be naturally attracted to the tumor site. 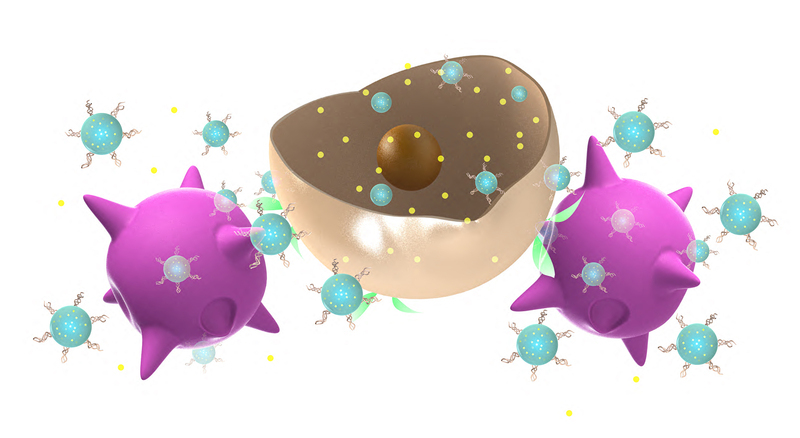 This makes immune cells a perfect active delivery system for Yang’s nanoparticles. The same technology is also likely to be effective for infectious or other diseases, as well as for tissue regeneration Dong said.